Hi there friends! Keri back from Shaken Together with a frightfully fun (and super tasty!) 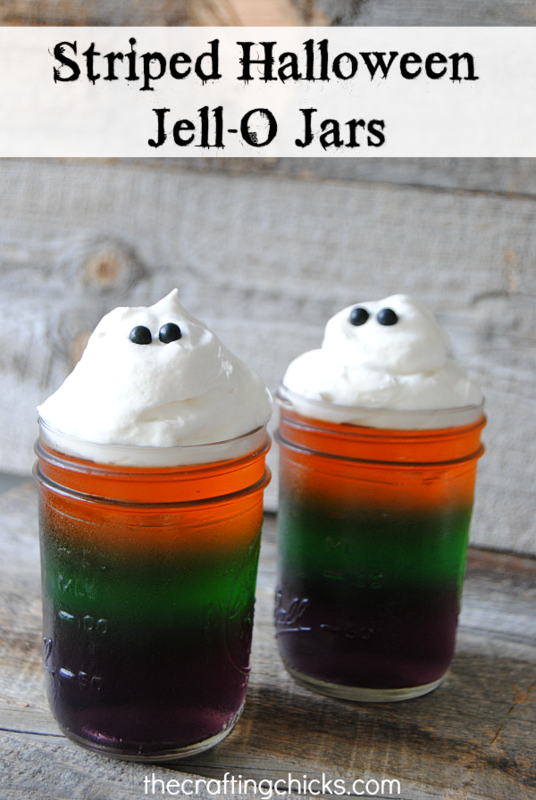 snack for Halloween … striped Halloween Jell-O Jars complete with whipped topping ghosts!! 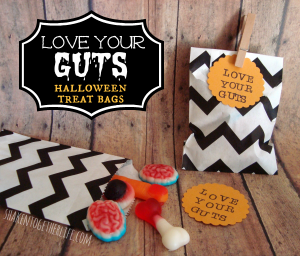 Your little guys and ghouls will love digging into this colorful treat that is perfect for Halloween! Aren’t the stripes of purple, green and orange fun? You just need three flavors of Jell-O and a little patience! Start with the grape Jell-O and mix it up according to package directions. 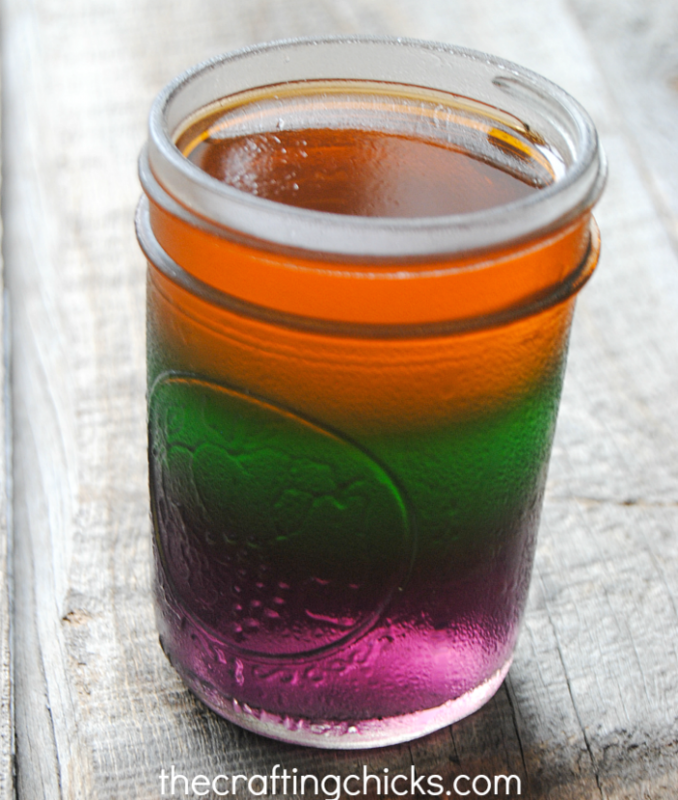 Split the grape Jell-O liquid between the six jars and place the jars in the refrigerator to chill and jell. I waited at least 2 1/2 hours between layers. Repeat with the lime and orange Jell-O. Place lids and rings on the jars to store them until serving. 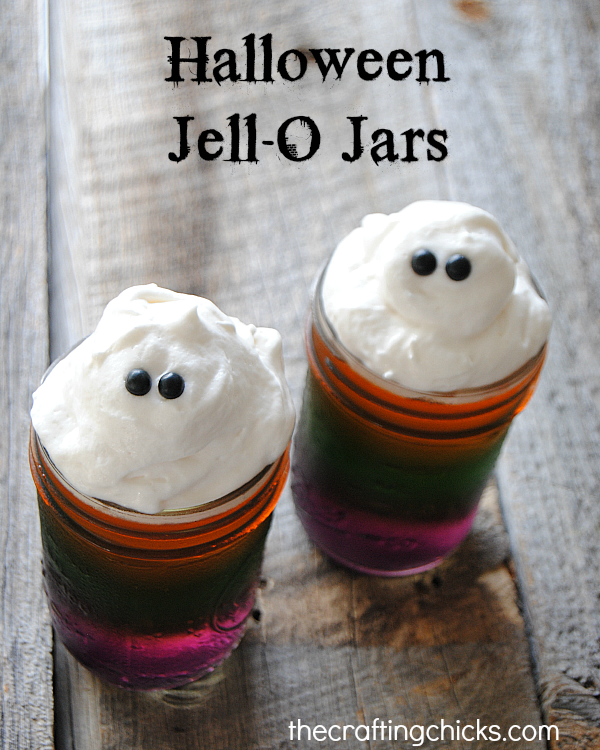 Once the Jell-O has set, remove the lid and ring and prepare to get ghostly! 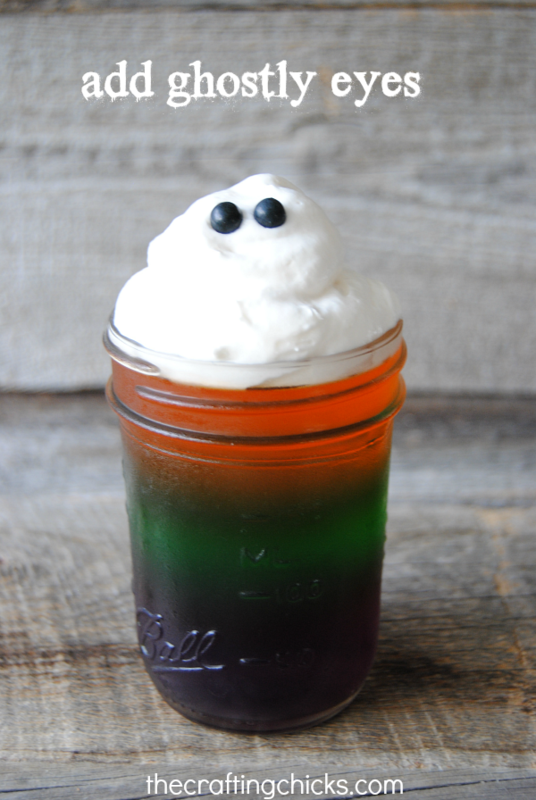 To create the sweet little ghosts, plop a generous dollop of whipped topping on the top layer of Jell-O for the ghost’s body. (If ghosts have a body?) Swirl another smaller dollop on gently to make the head. Then, place two mini chocolate chips or mini black Sixlets in the top of the whipped topping for the eyes. Aren’t they sooooo spooky cute! I love a not-so-scary Halloween and these cute little ghosts fit the bill. Now … let’s dig in!! 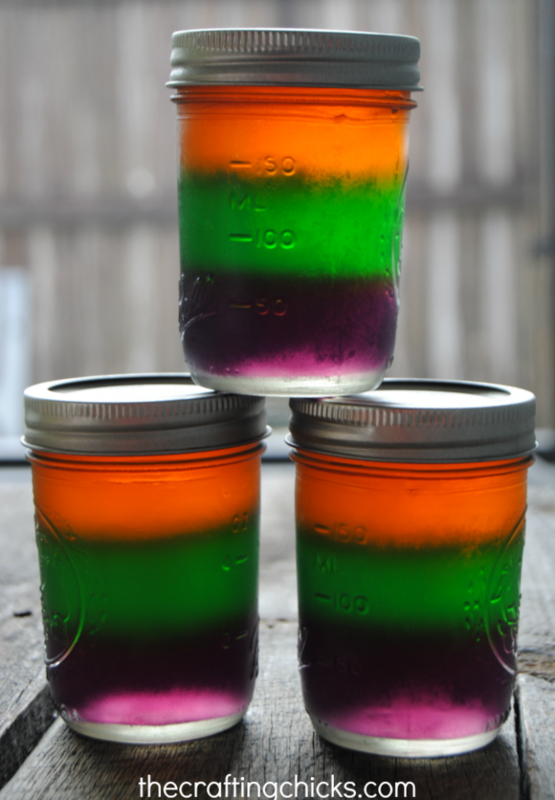 These striped Halloween Jell-O Jars could also be made in clear plastic cups for littler hands. 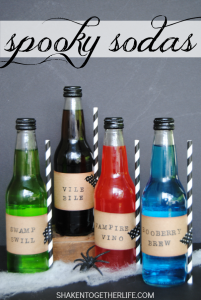 And I’m pretty sure they are perfect for any Halloween party or get together! 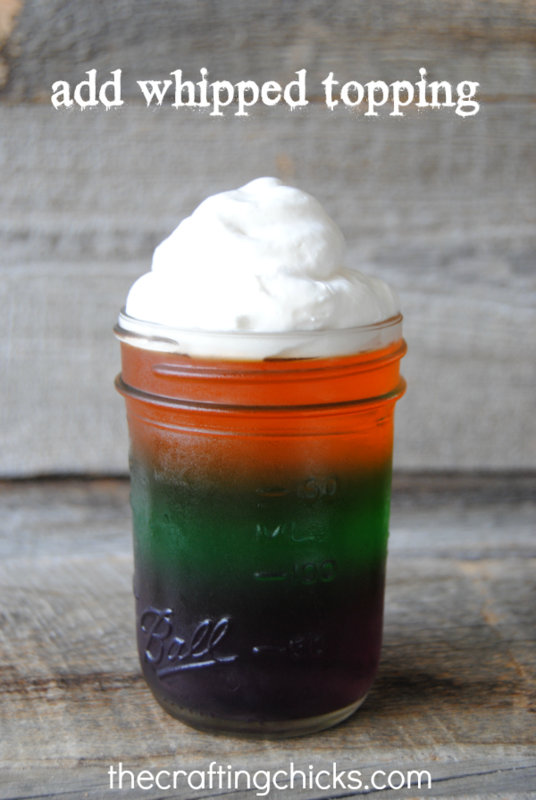 Feel free to use sugar-free Jell-O and whipped topping if you don’t want those kiddos hopped up on sugar. 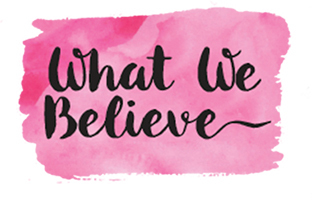 Here’s to a not-too-spooky, totally sweet Halloween! 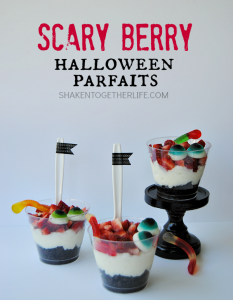 More Somewhat Spooky Halloween Ideas from Shaken Together!